Home > Pre-Owned Vehicles > 2015 Toyota Yaris Very LOW Kilometers! 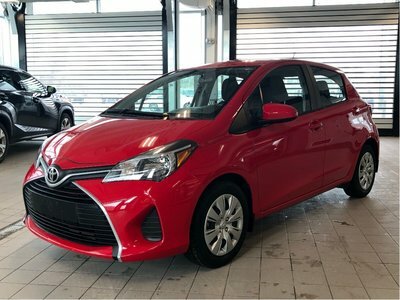 2015 Toyota Yaris Very LOW Kilometers! Details 2015 Toyota Yaris Very LOW Kilometers!. THIS ONE OWNER ACCIDENT FREE YARIS HATCH IS A GREAT VALUE. VERY LOW KILOMETERS! It's Toyota Certified with a 160 point Inspection by a Factory Certified Toyota Technician. This Kingston Toyota Yaris is nicely equipped with folding raer seats it offers loads of flexibility.it is nicely equipped with keyless,cruise, air, power windows and locks, and more. We have a great offering of finance and warranty options available, so click or call now to book your test drive. ALL TRADES WELCOME!